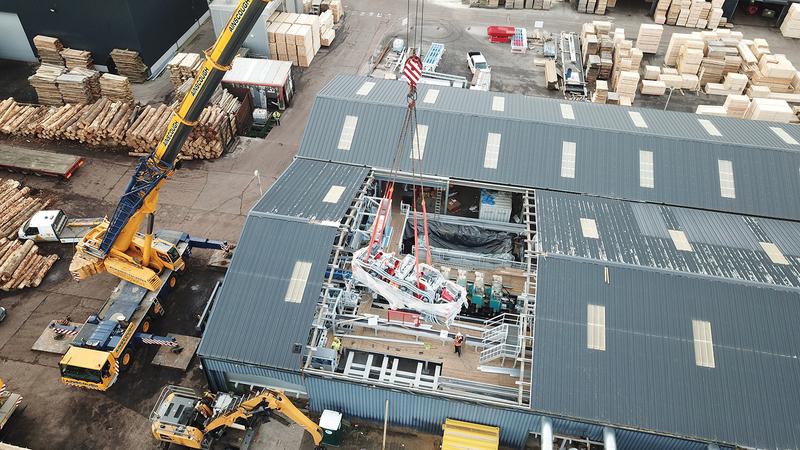 takes the total investment in new capital equipment at the site over £8 million since 2014, as the company consolidates its market position and continues to build foundations for future growth. is being delivered and integrated into the line, where it will be complemented by automated timber bundling and stacking equipment. On completion, the state of the art processing and handling line will boost the efficiency of the company’s secondary processing department, increasing its production capacity for value added timber fencing and garden products such as feather edge boards, weathered fence posts and gateposts, incised and pointed posts, shaped fence palings, cappings and other planed and moulded products. This development follows a major upgrade to the company’s primary sawmill, completed in 2016 in partnership with Soderhamn Erikson and Milltech, and the installation of a complete brand new EWD large log sawmill line at the Northumberland site in 2014, as well as expansion of the company’s timber treatment plant. For more information about A&J Scott, visit ajscott.co.uk or call 01668 217 288. ← SUPPLYING THE TIMBER AND FENCING INDUSTRY FOR OVER 25 YEARS!